Heading down to Mexico for a wild Spring Break is almost a rite of passage for most college students. Amidst all the partying that is done, it’s nice to take some time out of your vacation to try some Activities in Cancun you’ve never done before #ADVENTURES #THRIVING! Paying the extra money to do some activities in Cancun gives you the perfect opportunity to embrace the local culture and do something totally unforgettable and instagramworthy on your trip. 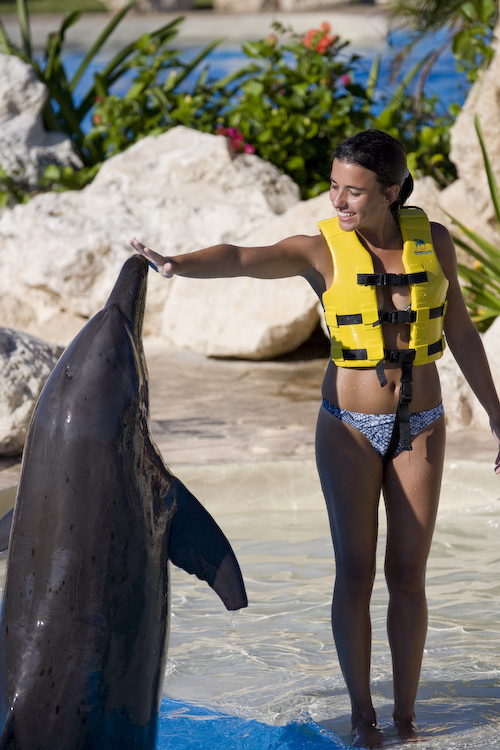 Our most recommended activities in Cancun include tours from Best Day Travel to Mayan temples–including Chichen Itza and the Tulum ruins, swimming with dolphins, zip lining, and the Oasis Dance U concert series. Chichen Itza is a majestic Mayan city that was declared one of the 7 Wonders of the Modern World. On this tour you will discover the beauty in these ancient structures. One of Chichen Itza’s most outstanding ruins is the Kukulcan Pyramid , with a feathered serpent made from stone set upon its facade. 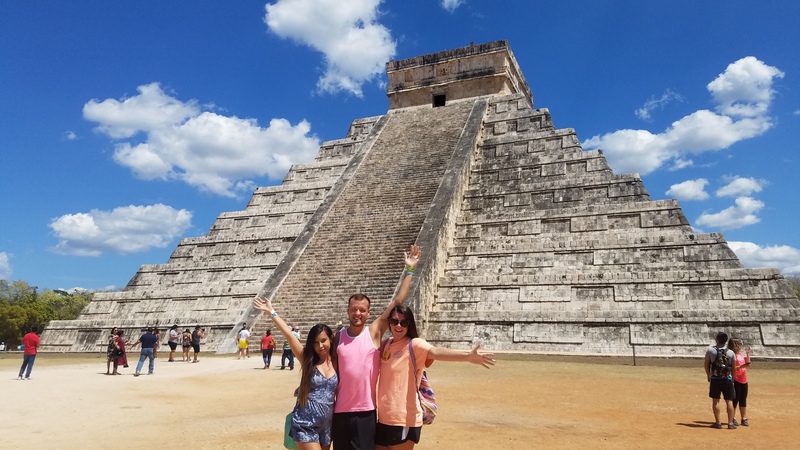 The Tulum Ruins tour features a visit to one of the most beautiful archeological sites in the Riviera Maya on Mexico’s Caribbean coast, Tulum. Tulum used to be the main Mayan port and features both impressive ruins and views. The stand-out structures are the Temple of Frescos and El Castillo (The Castle), while the site’s cliff-top location lends it an awe-inspiring feel. Swimming with Dolphins is always a bucket list item for the avid traveler. Learn about these intelligent marine mammals in a specially designed area and enjoy some free time with them as the surprise you with kisses and hugs! Zip Lining is another popular activity in Cancun with many different parks for you to fly above the treetops! I personally did XPLOR FUEGO which lights up with fire at night. The parks take pictures of all your zips so you can take home the memories afterward if you want! The Oasis Dance U is a lineup of high energy mix of Celebs, House DJ’s, Rappers, Models and the hottest Spring Breaker’s from across the globe! This year each week will feature one big named DJ and the stars include Carnage, R3HAB, Oliver Heldens, and Afrojack. If you are not staying at the Oasis Cancun Lite then we definitely recommend you buy a day pass and partake in one of these major headliner concerts right on the beach.